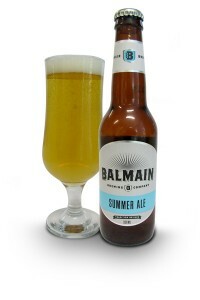 The Balmain Brewing Company was launched in 2010 in honour of tradition, mates and pub culture. The company is owned by a group of passionate mates, locals to Balmain. The mates dreamed up the plan while drinking over the years in each of Balmain’s 17 pubs, and hearing about the Balmain Brewery of last century and the 55 pubs of the 1800s. Several beers have been launched to date: Balmain Pale Ale, Balmain Pilsner, Balmain Bock and Balmain Apple Cider. Tasting notes from the brewer: The Balmain Summer Ale is a fresh golden ale that derives its tropical fruit character from three hits of Galaxy hops. Balanced with a slightly dry finish thanks to Australian wheat. Leaving the yeast in gives a cloudy appearance but keeps the beer brewery fresh. All natural and unpasteurised.